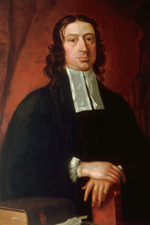 It was clear from the outset that the unit of The Wesley Works Editorial Project devoted to John Wesley’s correspondence needed to provide access not only to the nearly 3500 surviving letters that he wrote, but to at least some of the letters that he received from others—often as part of an ongoing correspondence. There are over 1800 of these ‘in-letters’ surviving in some form, which threatened to swell the seven volumes designated for Wesley’s correspondence beyond their capacity. Frank Baker’s compromise in the first two volumes of Wesley’s correspondence (vol. 25–26), published in the early 1980s, was to include only selected in-letters, and frequently to abridge those selected. The option of web-based presentation has allowed the Board of Directors to revisit this issue. It was decided to make transcriptions of all of John Wesley’s in-letters available, in their entirety; but to do so online, rather than in future print volumes. For the sake of completeness, the in-letters from the period covered by the first two volumes published are included in this online collection (whether printed in those volumes or not). Those making use of this online collection of Wesley’s in-correspondence may want to review the guidelines that were followed in the selection and presentation of text in the transcriptions. A list of all letters directed to John Wesley that either survive as original manuscripts or for which there are significant surviving excerpts or transcriptions of their content, along with brief indication of the holding location or source for the letter. Pamphlet- and book-length published ‘letters’ specifically addressed to Wesley are included only when they are rare, and not available through Eighteenth Century Collections Online. The list includes all letters planned for inclusion among the transcriptions below—if readers notice any omissions or mistakes, please let us know. A list of short titles and abbreviations used in annotating John Wesley’s correspondence, matched with full bibliographical listings. Wesley’s in-correspondence is transcribed in chronological order, gathered in half-decade increments to allow manageable file sizes. The texts are in a (pdf) format that is searchable using Adobe Reader 7.0 and above.